3, 2, 11, and 8. Mari B wins the album! Valerie wins the dish cloths! Congratulations! Please make sure you get me your addresses so we can get these prizes out to you! Thanks to everyone for participating, I’m sure we’ll do more giveaways in the future, and you never know what you might win! Thanks so much for the words of encouragement and suggestions, we’ll see what we can do about getting those things done. And remember, if you’re interested in writing for us, we’d love the company! This is just a reminder that we have a giveaway happening, wherein you can win really cool prizes! (At least, we think they’re really cool.) At this point there’s 2 days left to enter, so…. You can’t tell me you’re not interested in awesome prizes. 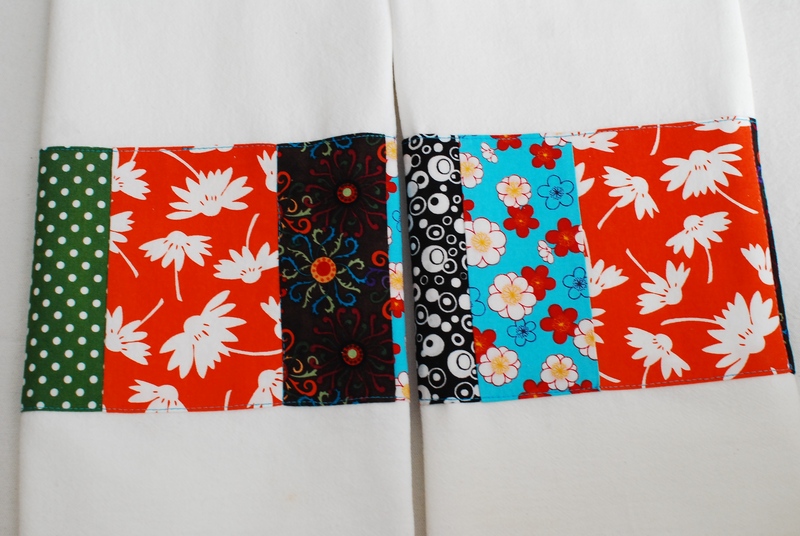 Dishtowels embellished with refreshingly retro fabric? You know your kitchen could use a little pizzaz. A little pick me up. C’mon, you know you want to dry your hands with something lovely. Homemade sugar cookies? I can personally vouch that they are delicious and addictive. We won’t inform your family that you’ve won them; you can keep them all for yourself! And if you’re not a sugar fan (we’ll forgive you), give them as a gift and win a friend for life! 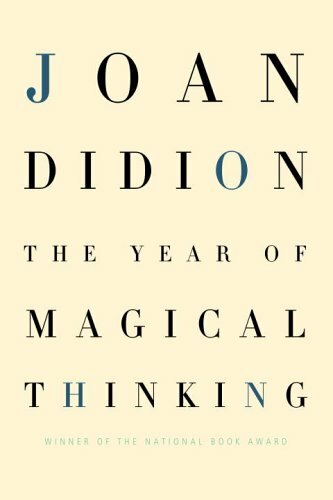 The Year of Magical Thinking? Nothing is better than a book. Nothing. (Ok, possibly sugar cookies. But only possibly.) Stretch your mind and your soul with this incredible read. It’s Brandy’s favorite book, and she’s REALLY picky. So you know it’s got to be good. A new photo album? In lovely boho distressed style? Made by yours truly? I try to be modest, but this one turned out really cool. 20 heavy duty scrapbook pages, spiral bound into a hand decorated cover – you know your pictures deserve to live somewhere beautiful. All you have to do is go to this post, scroll down to the bottom of the page, and type a comment. That’s it! Just make sure you do it before midnight on Monday Oct. 5! Please e-mail me (themaryanne at gmail dot com) with your address, and I’ll get it in the mail to you so you can get to enjoying it right away! All of you who didn’t win, don’t despair! There’s another HUGE giveaway coming this next week. So stay tuned! Here in California, we don’t really have autumn. Not like other places do. While some leaves are turning brown, for the most part the trees are still green. It could get up to 94 degrees today. Z is wearing shorts. While I love this weather, part of me longs for clouds,warm sweaters and blustery crisp days. I may have found an alternative. Bath and Body Works has a new line called The Perfect Autumn, with scents called Harvest Berry, Ginger Vanilla, and Leaves. Of course I had to check it out, because who makes a body lotion/bubble bath/candle that smells like leaves? And what do leaves even smell like? It’s a combination of “golden nectar, juicy mandarin and red delicious apple, paired with toasted cinnamon stick, mulled spices and freshly picked berries” and it is seriously divine. I used it last night in the shower and just stood basking in the lovely smell swirling all around me. It was almost enough to make me forget the heat. So delicious, in fact, that I am following a very wise woman’s advice to never squelch a generous impulse, and sharing it with you. Leave me a comment stating which smell of shower gel you want, and I will pick a random winner. The winner will receive a 12 oz shower gel in the flavor they requested. The drawing is open to anyone, including contributors to the site. Please only comment once, and make sure you state what flavor you’d like. If you don’t win, don’t despair, there’s a HUGE giveaway coming soon. But don’t say I told you. PS. If your comment doesn’t show up right away, just wait. The spam filter is being a little tetchy, so I may have to go in and approve your comment.